Tour the world with our World Map metal decorations ! Discover the world with this design metal sculpture. The dimensions of this metal wall deco are 48 cm X 48 cm for each part. 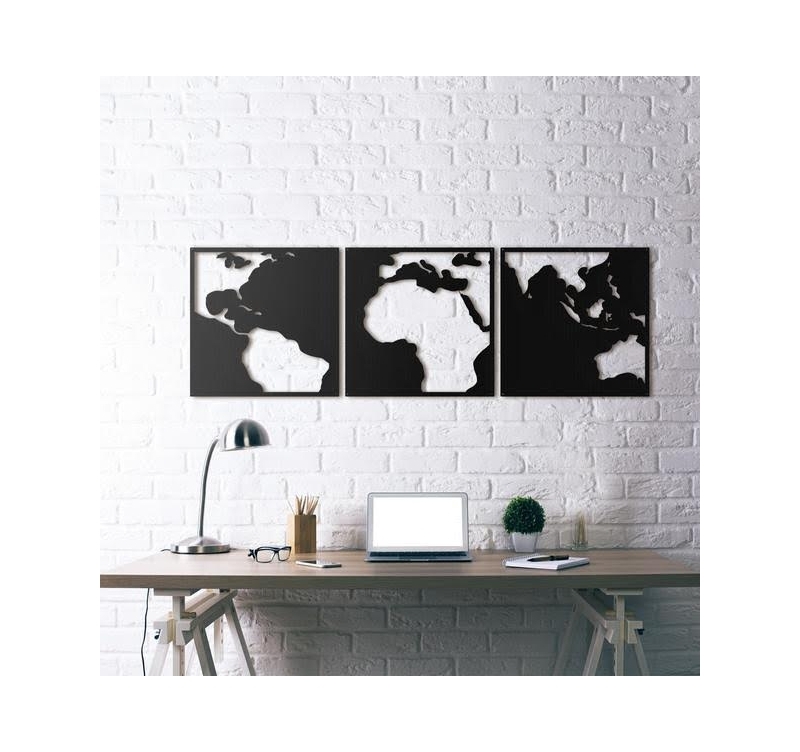 For all travellers and globetrotters, this world map metal decoration will bring a touch of design to your interior. The contrast between the empty spaces and the black parts give a unique aspect to this modern metal sculpture. Coming in several parts, you can let your imagination play to set up this contemporary metal sculpture according to your wish and the style of furniture you have. 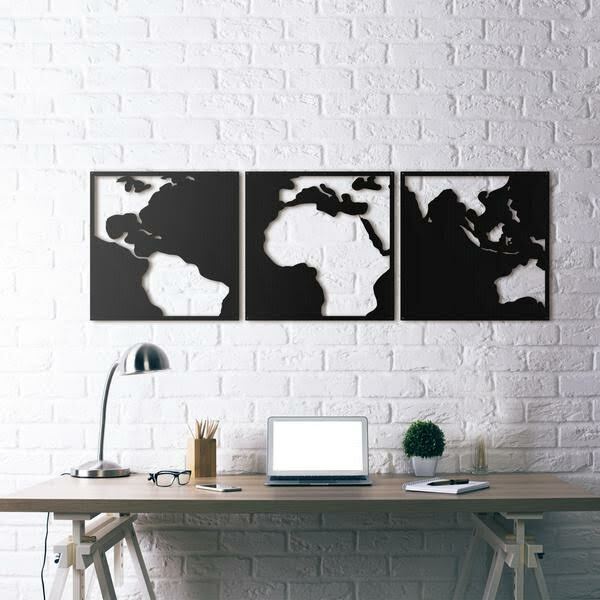 Hanging up this metal world map is very easy wherever you wish in your interior. All our metal wall decorations are hand made and treated with a black finish for a long lasting quality. Nous sommes ravis de notre achat : belle qualité, rendu parfait, livraison rapide, articles bien emballés. A recommander !